Maritime Culture Bag "surf No. 2" from recycled surf Sail. 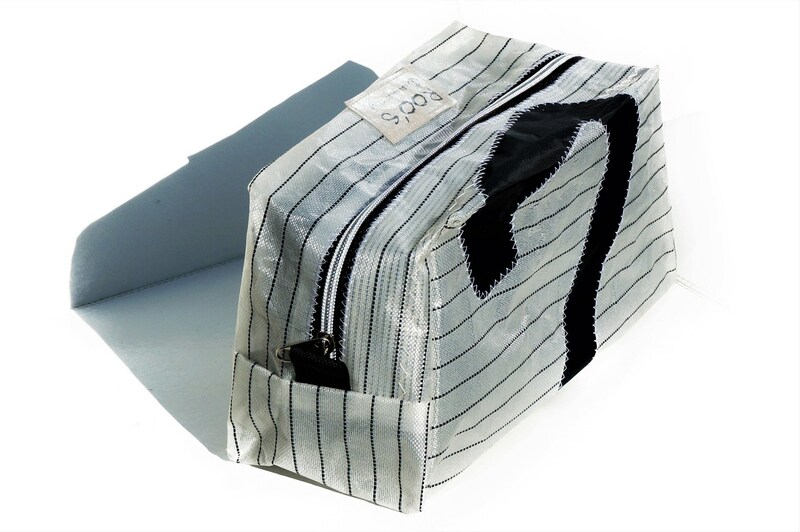 The black and white striped travel beauty case of the brand "roo's recycled sails" is 28 x 14 x 12 cm in size and worked from an original Gaastra surf Sail. 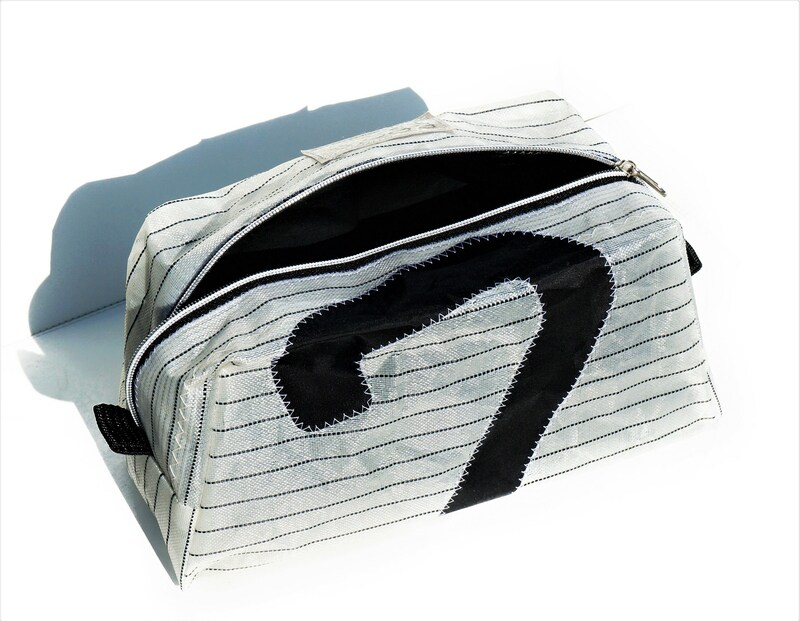 Eye-catcher is the black "2" which stretches over the entire front of the bag-quilted in the typical maritime Zig-zag Stitch. 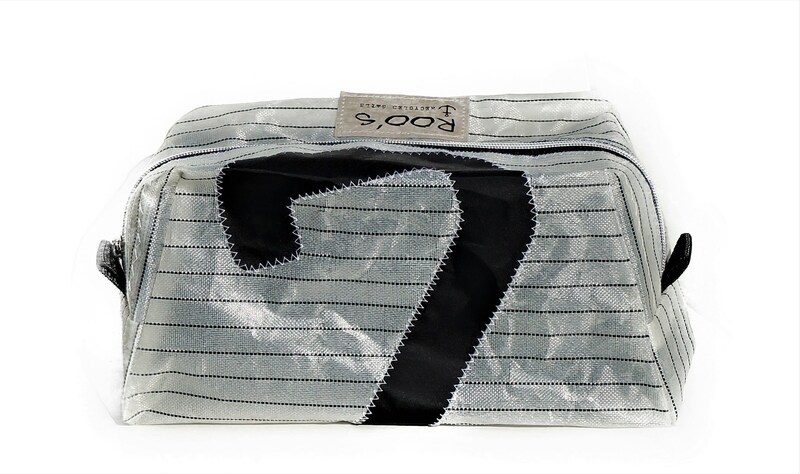 The bag is lined with black cotton fabric and wiird closed with a silver metal zipper. 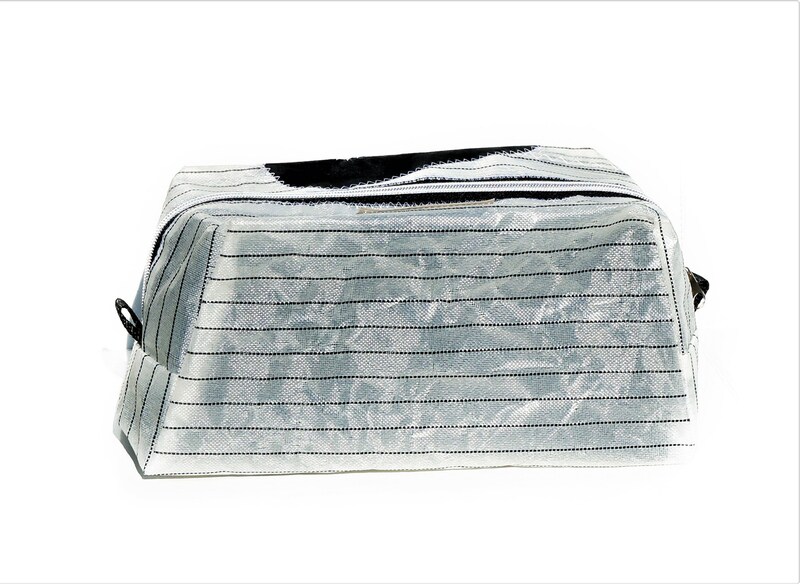 The waterproof bag is made of a used sail, which was previously cleaned intensively. nevertheless, corresponding signs of use or stains cannot be excluded and therefore no reason for Complaint. 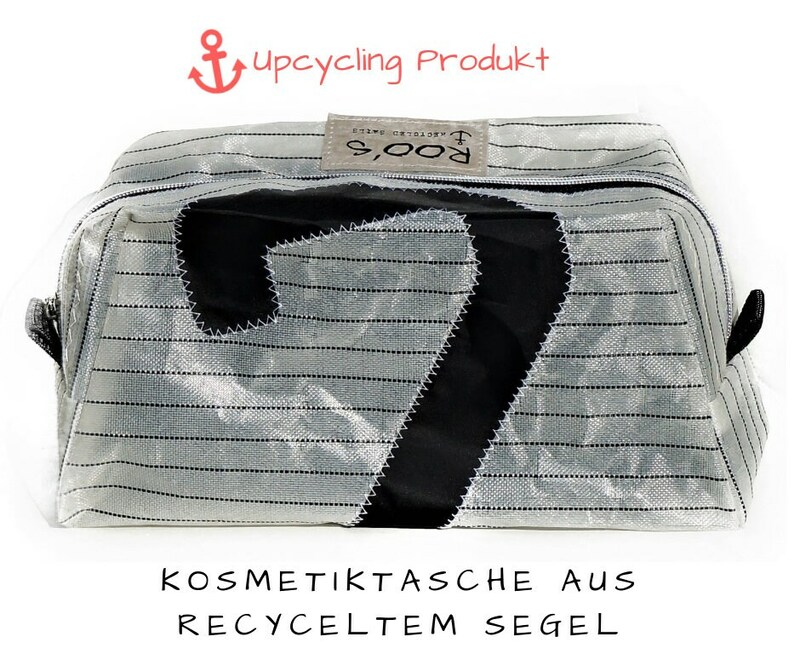 That ´ s upcycling!